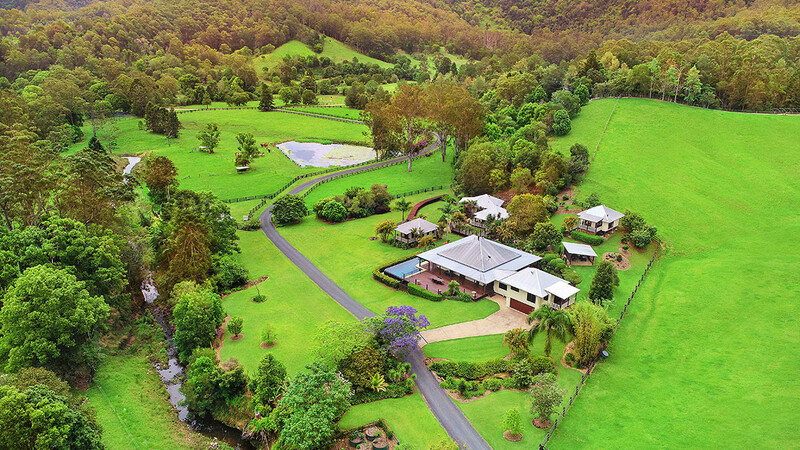 Tucked away on the most resplendent 250 acre hinterland parcel, backing onto National Park and Mapleton Falls, is this Stephen Kidd architect-designed masterpiece, configured to facilitate a variety of possibilities that encompass guest accommodation, equine retreats, corporate retreats, weddings/events, yoga/natural health therapy retreat, or private residence…there is great versatility on offer in the most idyllic of settings. 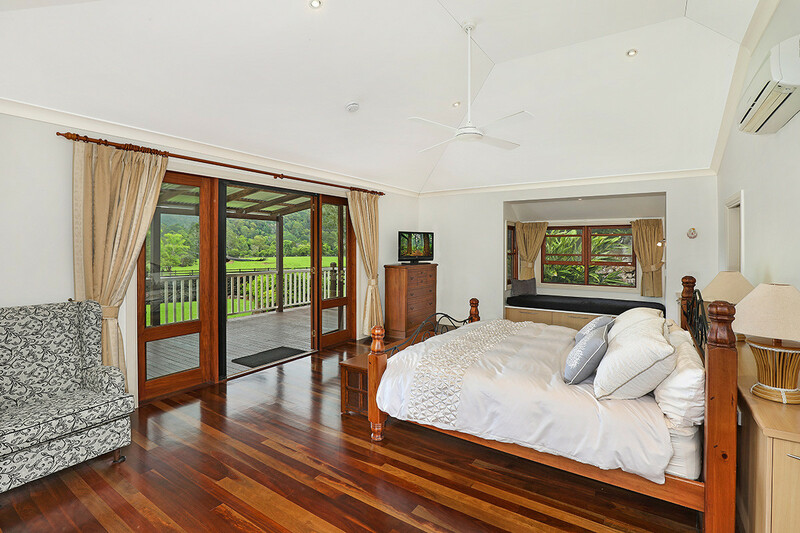 ‘Carpet Springs’ comprises of a gracious fully self-contained main residence with master retreat on upper level, two bathrooms, office/2nd bedroom, living area with central fireplace and hand beaten copper flue, sitting area, stylish entertainer’s kitchen, expansive wraparound verandah with glorious views over property, infinity edge pool with spa jets to inbuilt sun seat, double lock up garage and carport. 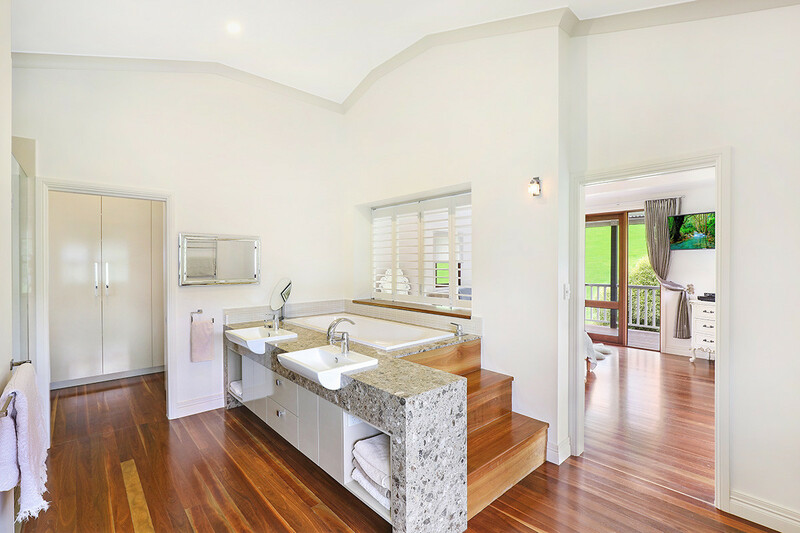 Features include: hardwood timber floors, soaring high ceilings reaching a 4.5m apex, French doors, split-system air-conditioning, resort style ensuite, high-end appliances in kitchen, stone benches, gas cooktop, exclusive balcony off master bedroom, and premium fixtures and fittings throughout…presentation, quality, and workmanship shine! 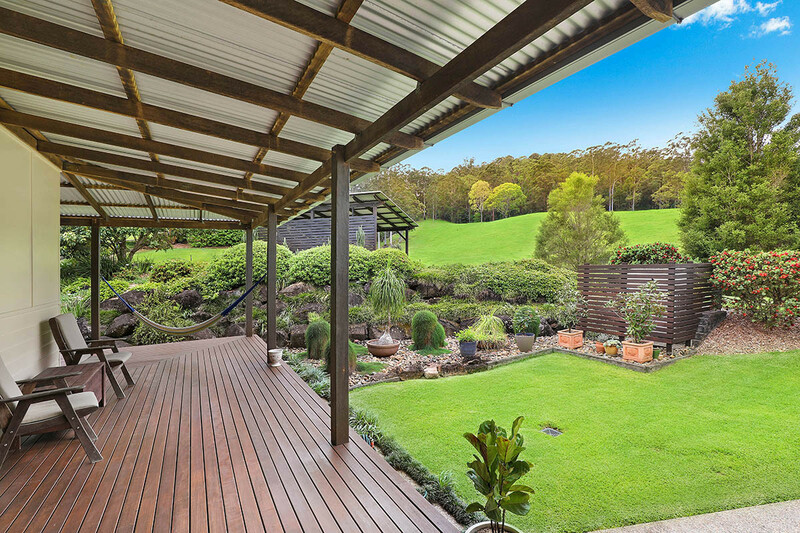 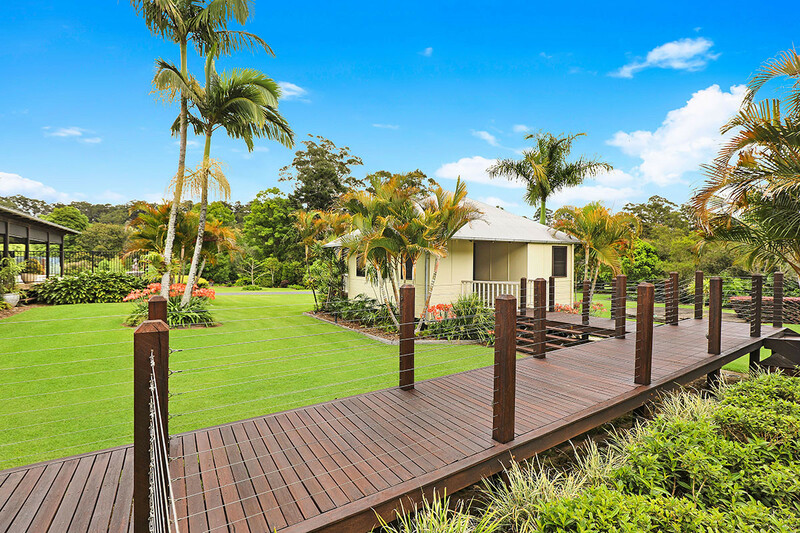 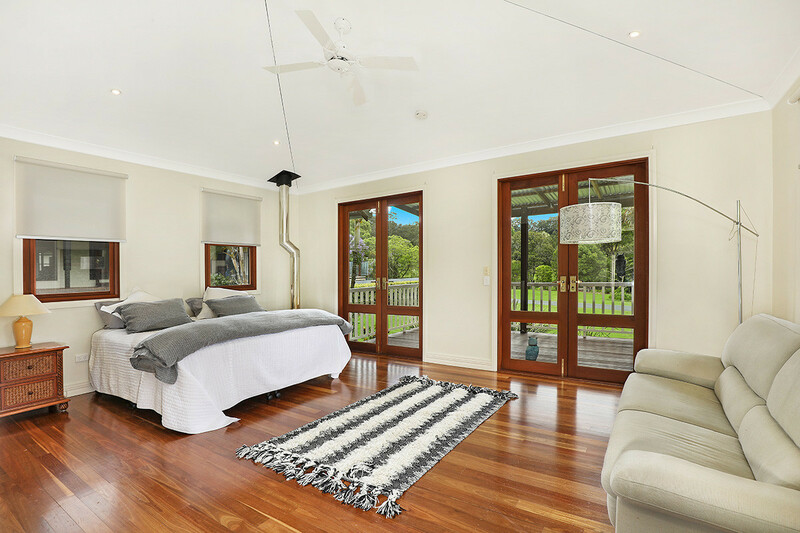 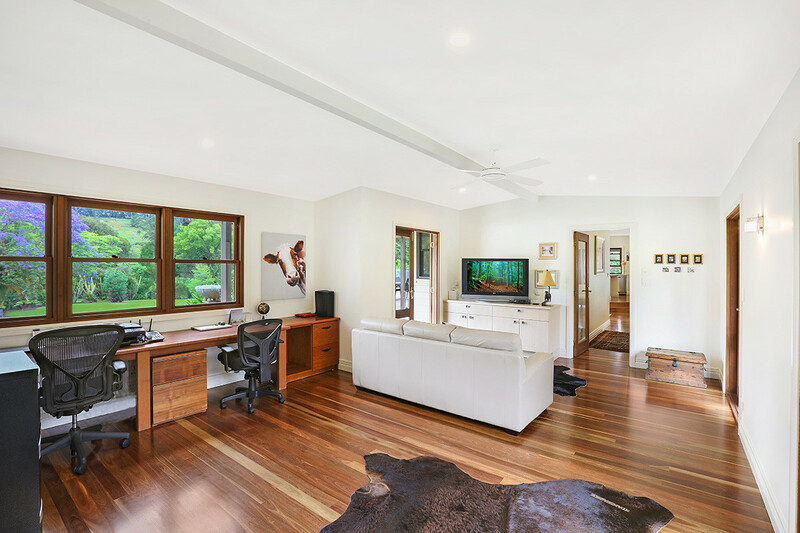 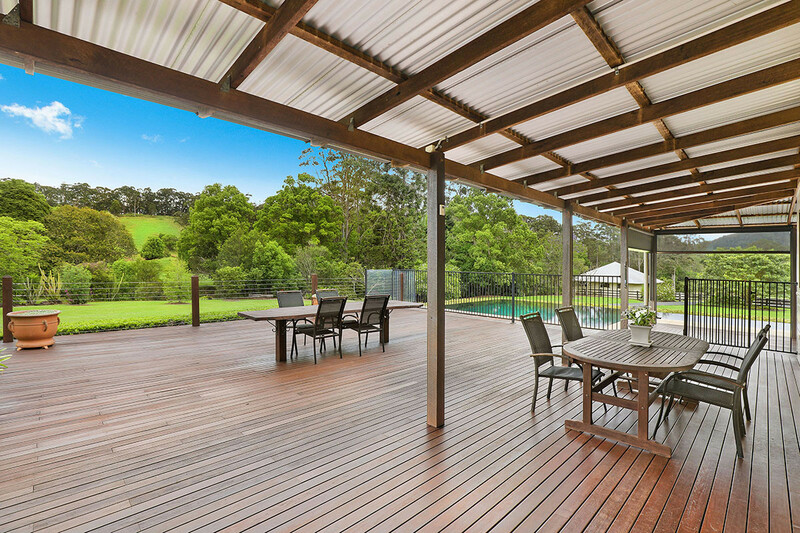 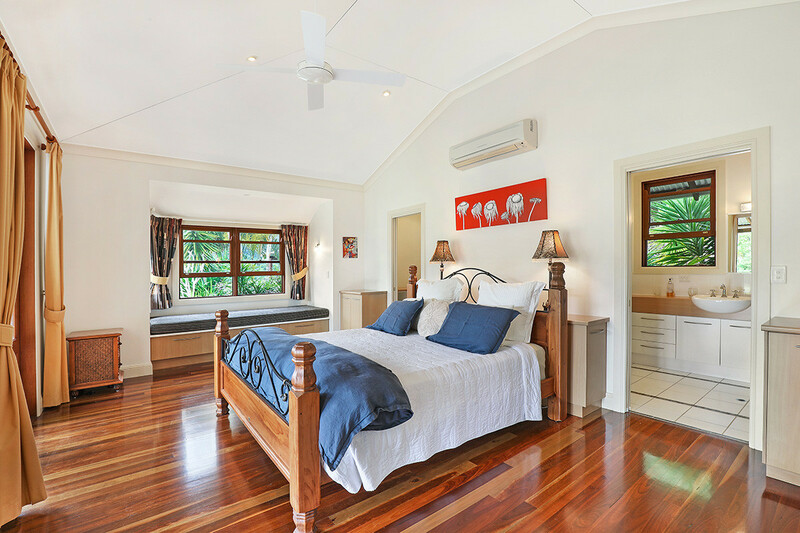 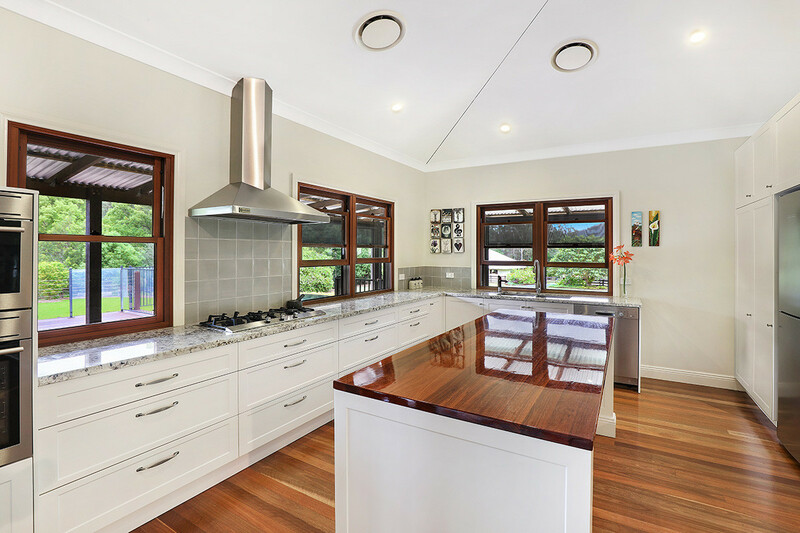 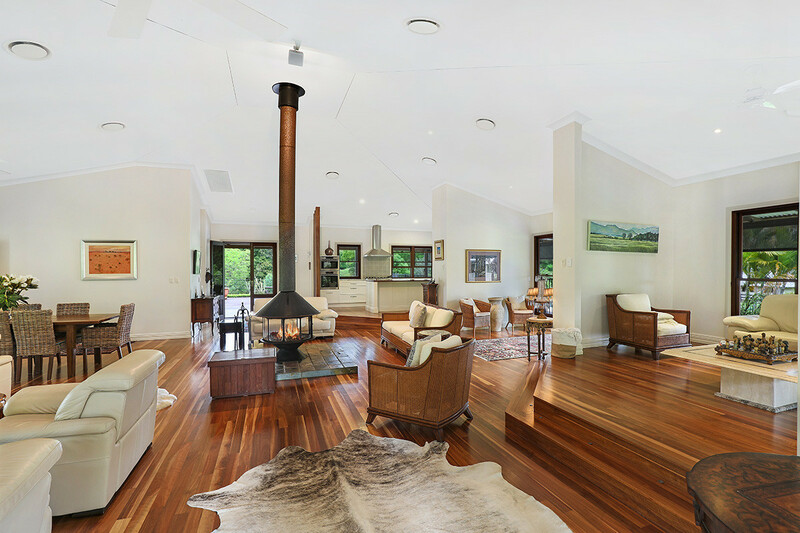 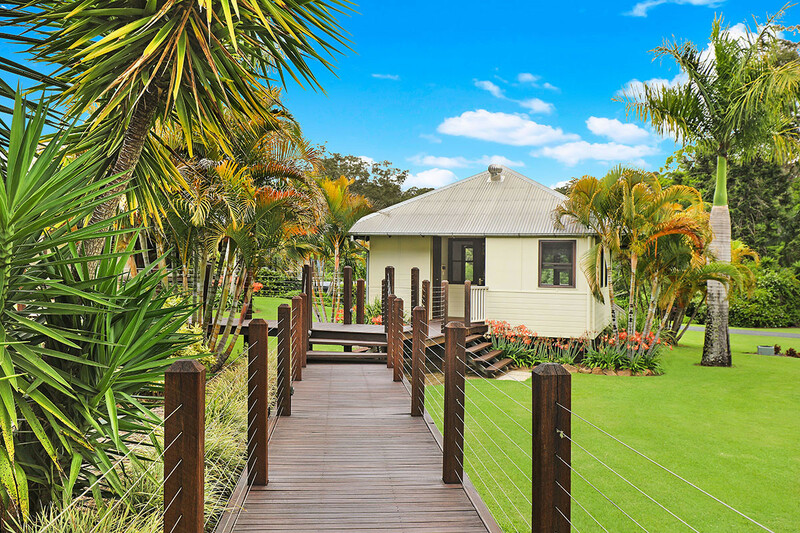 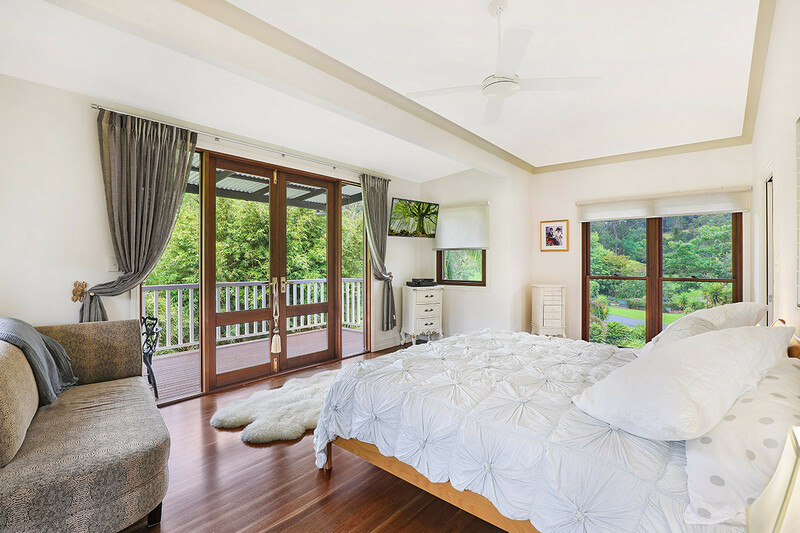 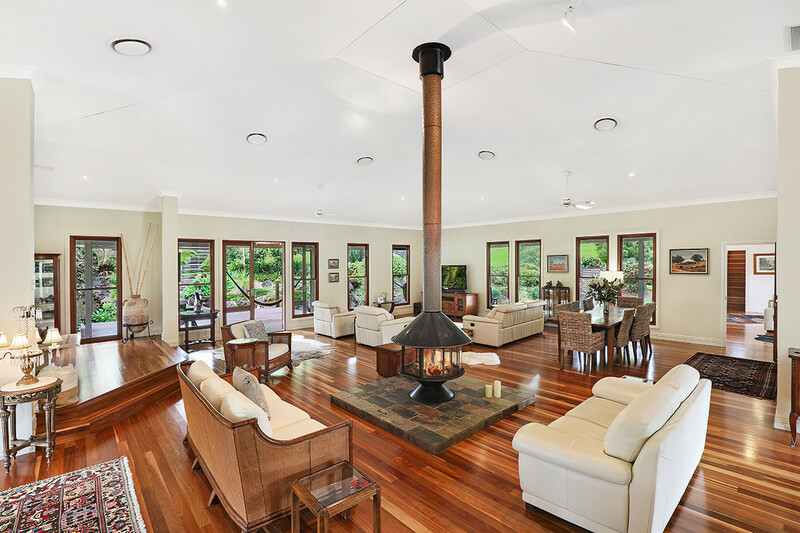 In addition, connected by handcrafted Spotted Gum elevated timber walkways are four elegant guest pavilions with ensuite bedroom and covered deck; each has split-system air-conditioning and two have wood combustion heaters. 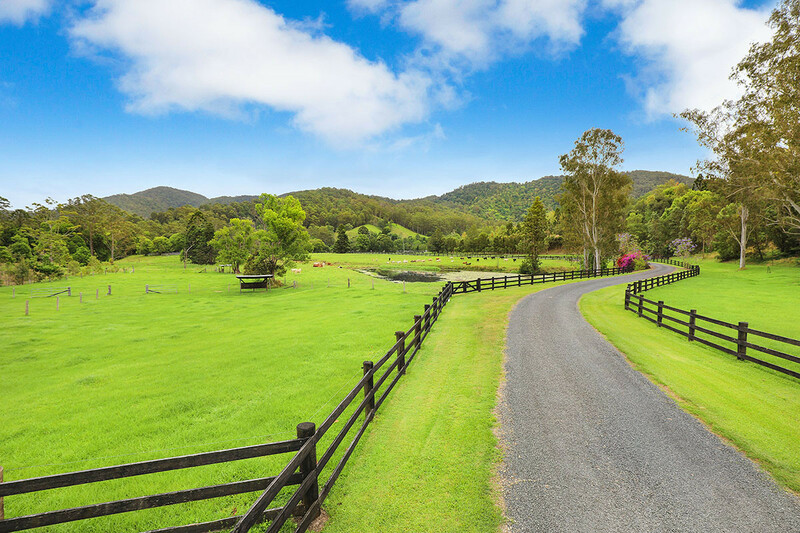 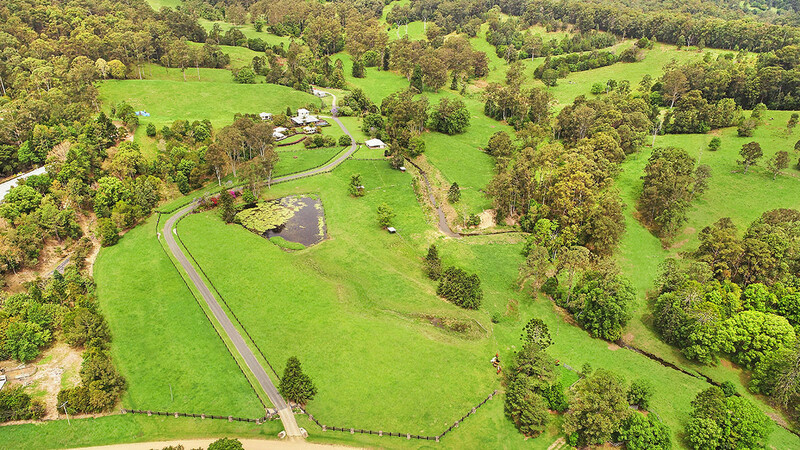 Infrastructure on ‘Carpet Springs’ is extensive and premium quality, including: boundary fencing, paddocks, stables with four stalls and tack room, cattle yards with vet crush, various sized machinery sheds, workshops and bore. 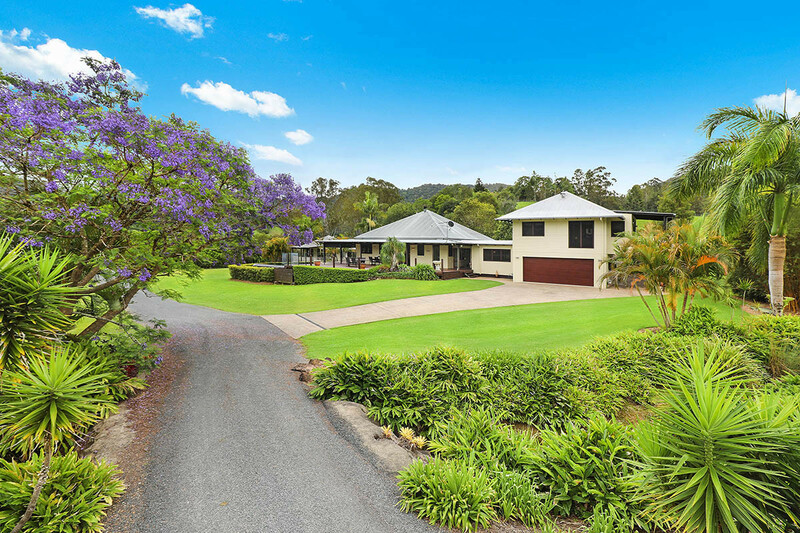 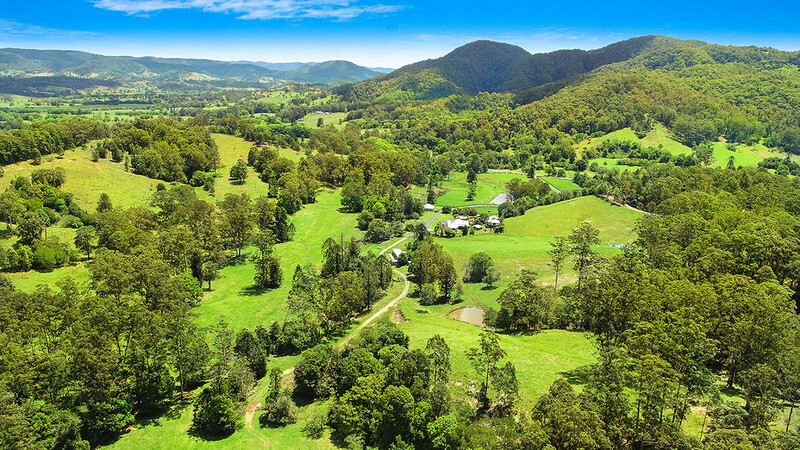 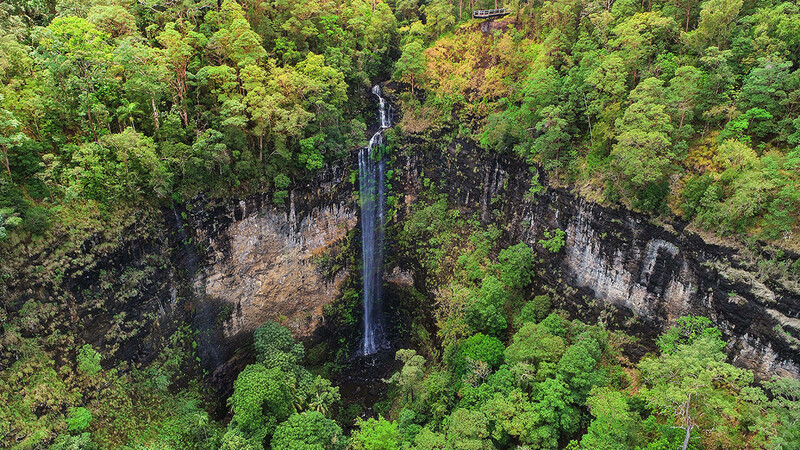 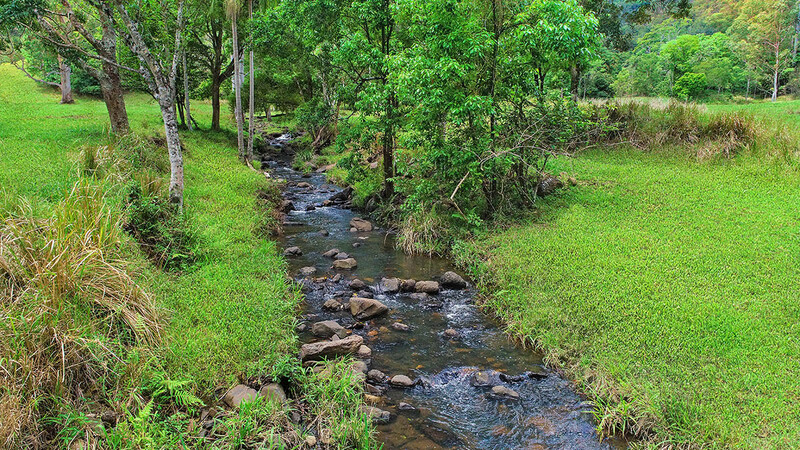 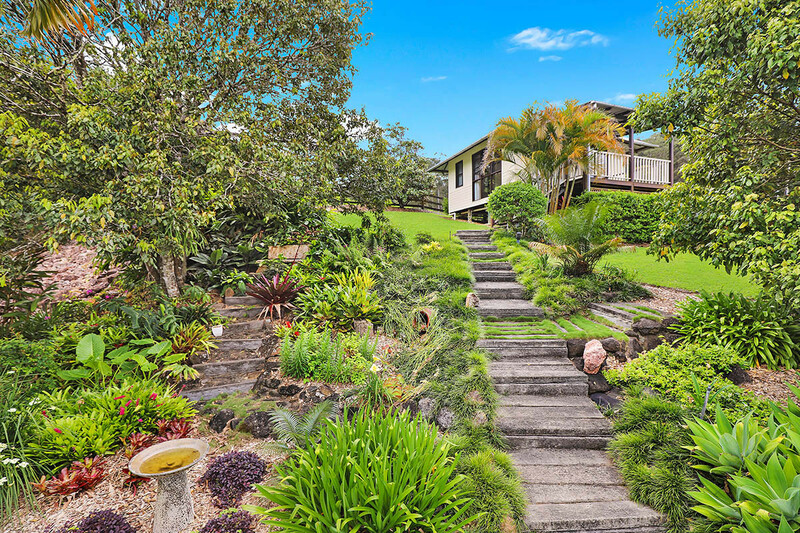 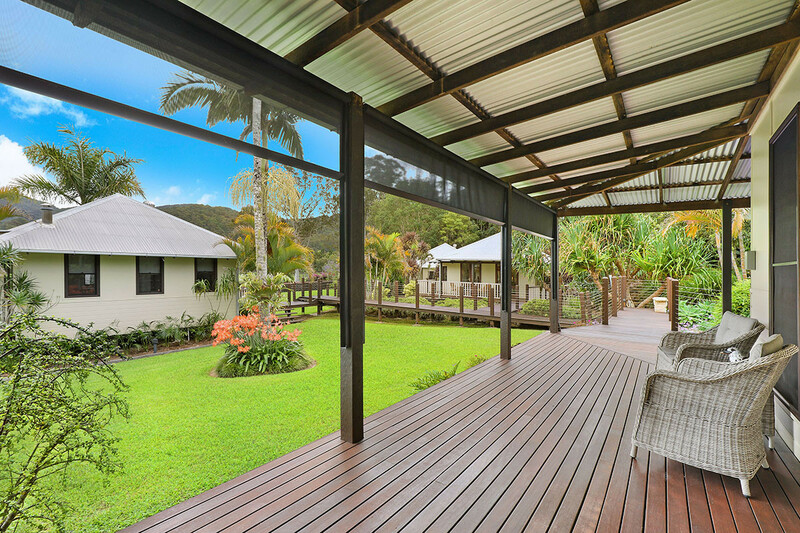 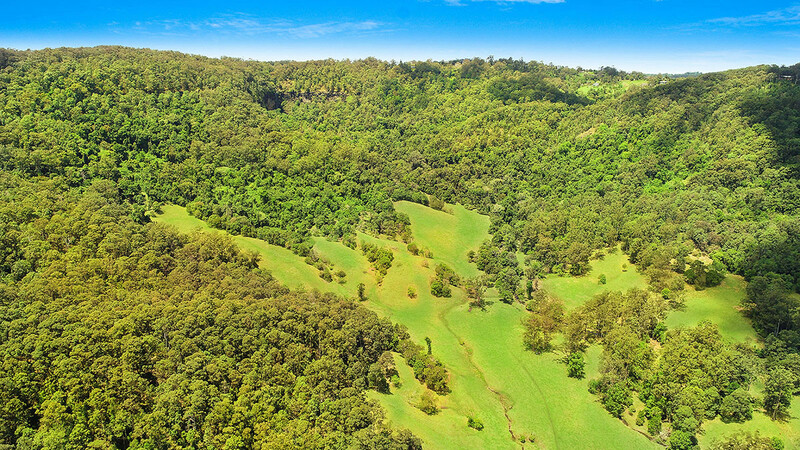 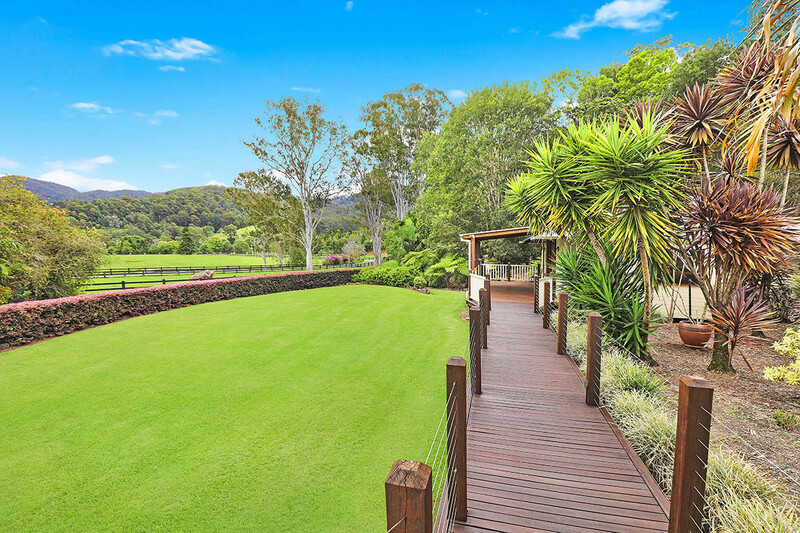 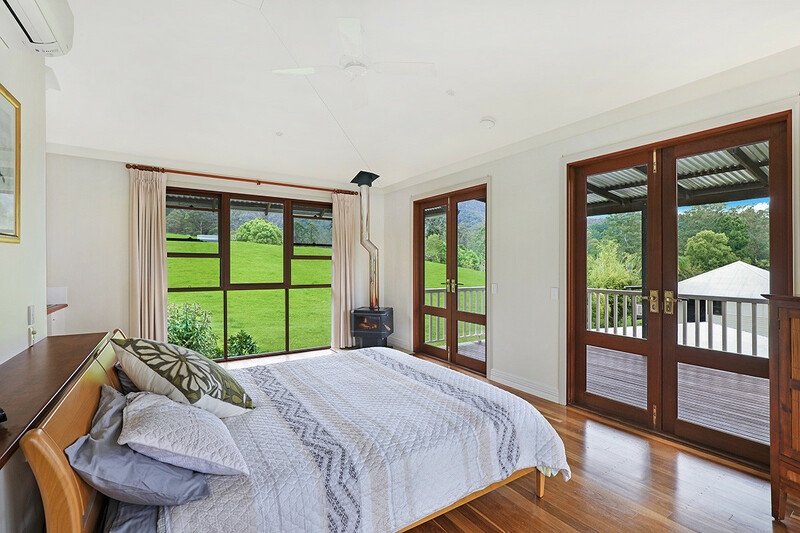 The acreage is absolutely resplendent, with pastures able to run up to 70 head of cattle, picturesque Pencil Creek running the entire length of the property, walking tracks, and sub tropical rainforest…bushwalking, wildlife photography, picnicking, horse riding, quad bike riding, bird watching; it’s an outdoors lovers nirvana! 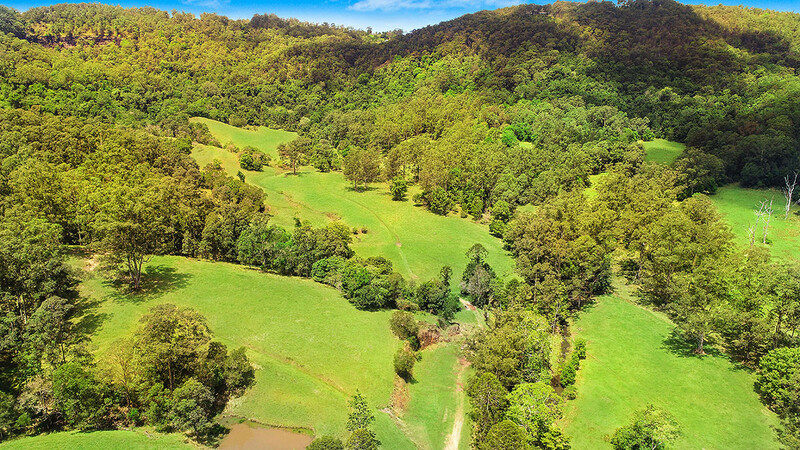 Located in the lush Obi Obi hills, so pristine and unspoilt, this is a world-class acreage retreat of the very highest calibre. 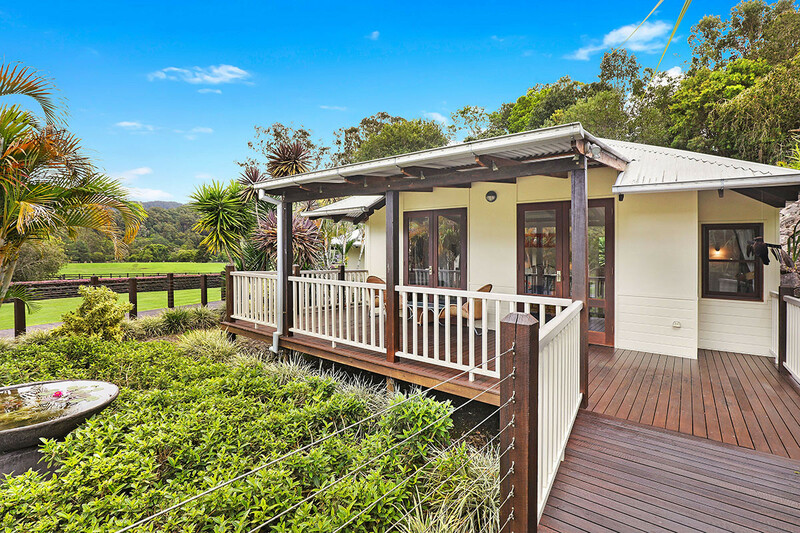 The amenities of Mapleton and Kenilworth villages are a short drive by car, and coast beaches are 30-40 minutes…when you return home, you return to your own veritable slice of paradise! 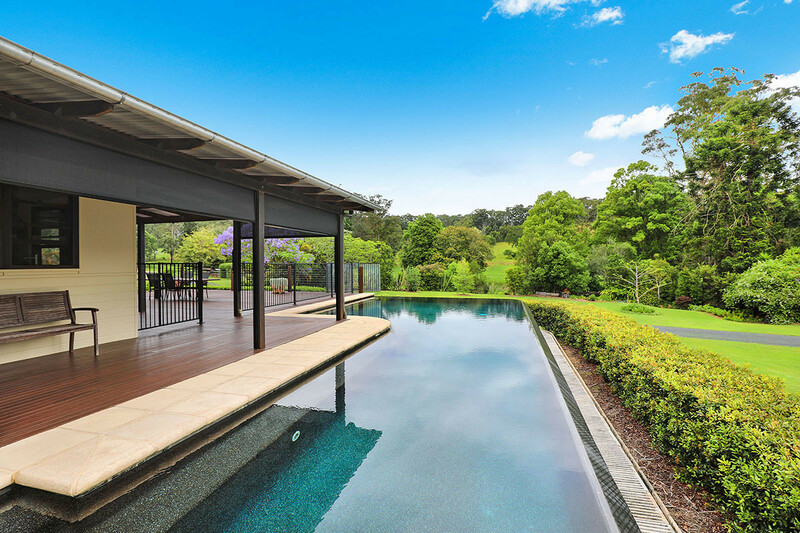 There is nothing like this on the market in this region; interest in this property will be national and international. 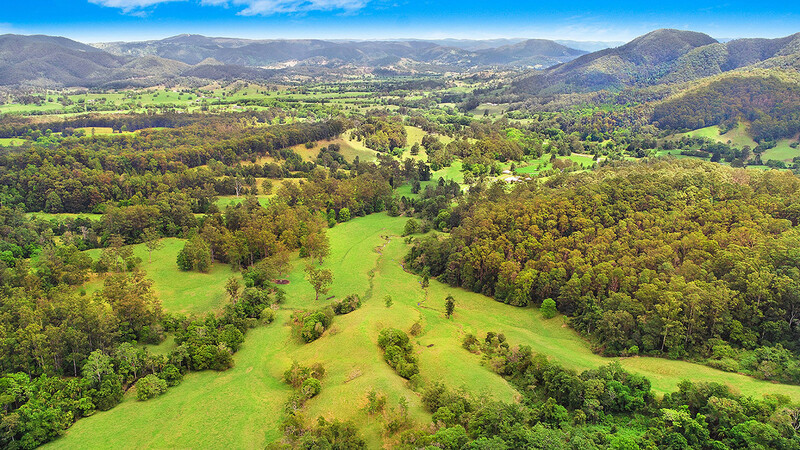 – There is nothing like this on the market in this region, it’s first class in every sense and will attract national and international interest.